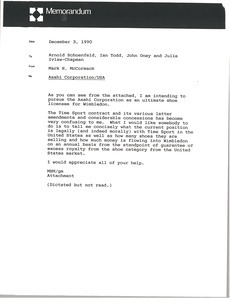 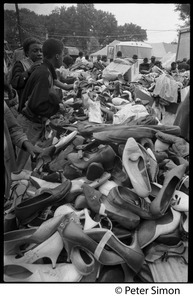 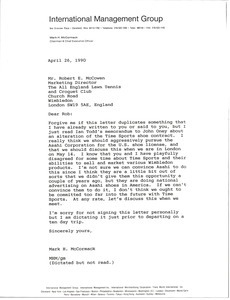 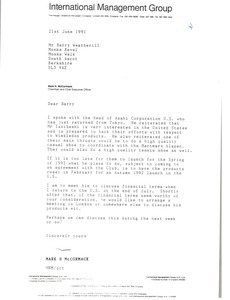 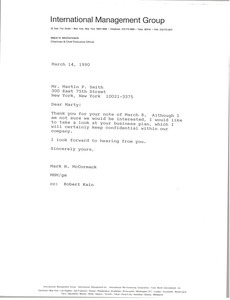 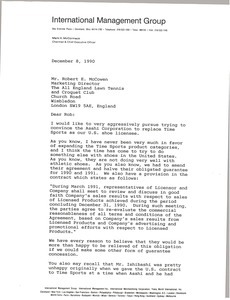 In response to Smith's letter, McCormack asks to see the Smith's business plan for his business venture involving the World's Largest Athletic Shoe Store. 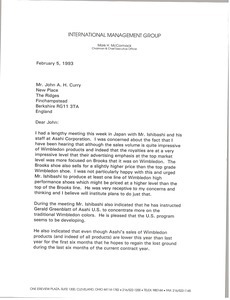 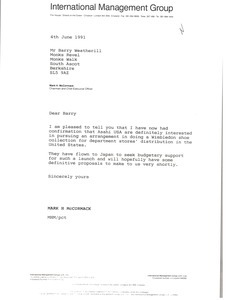 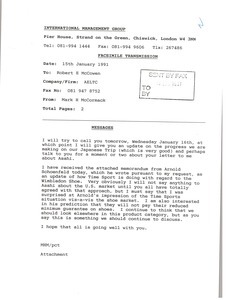 Concerning the Asahi Corporation and their interest in Wimbledon products, particularly a "high quality casual shoe to coordinate with the Bartmarx blazer." 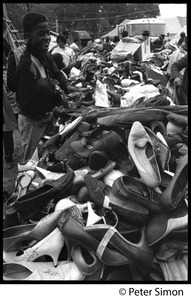 Washington (D.C.) - From a series of images of Resurrection City, a tent city set up in Washington, D.C., as part of Martin Luther King's Poor People's Campaign.